I spend a bit of time each night looking around various blogs, Etsy and Flickr at inspiring creations. I thought it'd be fun to share some of these with you! 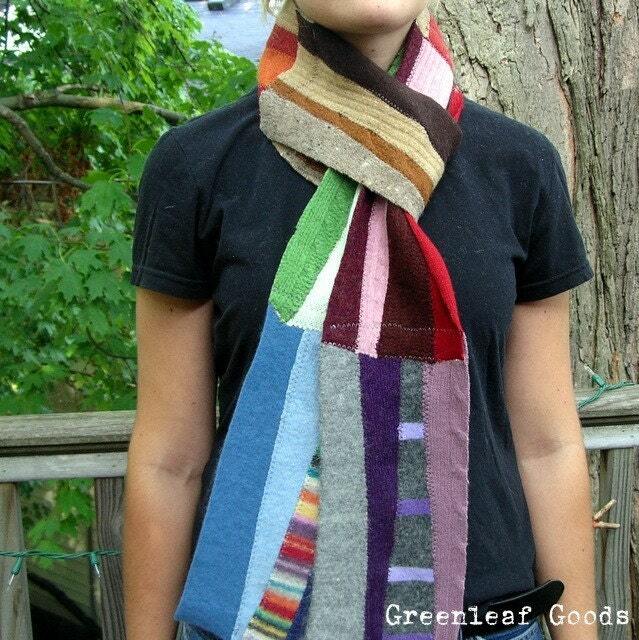 First, I'd like to introduce you to Natalie of Greenleaf Goods. Fast forward to yesterday when my scarf arrived and all I can say is, I am in love. I was actually wearing it around the house. In August. The second person I'd like to introduce you to is Cynthia of Meringue Designs. If you haven't visited her blog and Etsy shop, you are really missing out! I am absolutely in love with her sense of style. If you have ever found yourself looking for modern embroidery designs, you have probably noticed they practically do not exist. Except for at Cynthia's Etsy shop! I have purchased several of her designs and am working on decorating my sewing room with them. They stitch out beautifully! If you don't have a machine that can do embroidery, she also sells finished items. And patterns too! 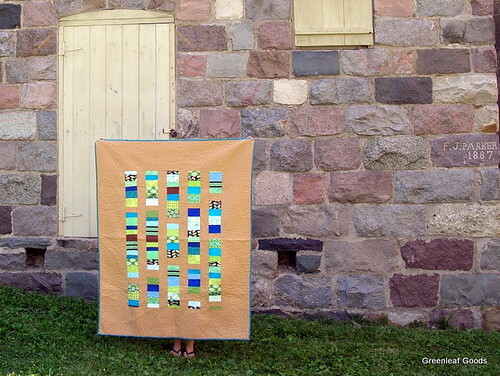 A couple of months ago she made this amazing quilt based on Denyse Schmidt's What a Bunch of Squares quilt design. 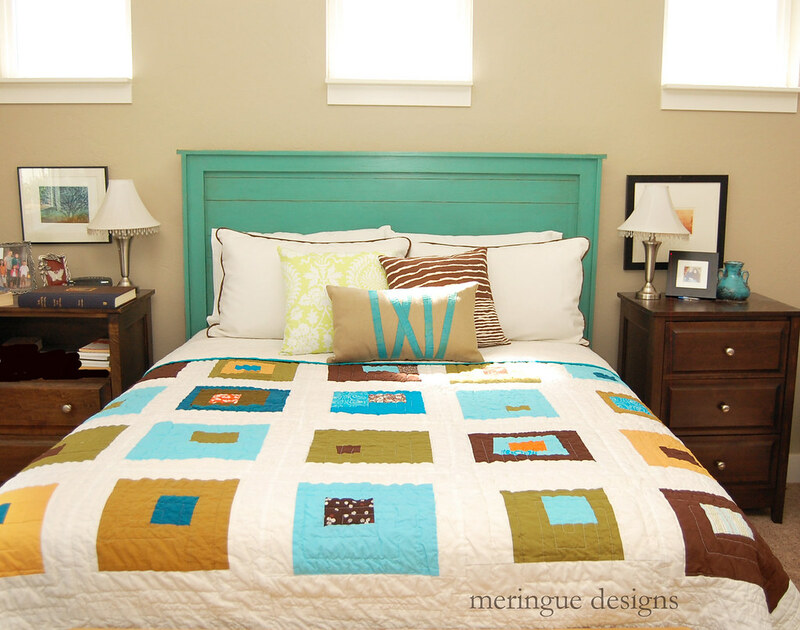 I am so inspired to make one for my bed now. Oh, and she made the headboard too. Not only does she sew, but she does woodworking too! Finally, I have probably mentioned that my daughter is just a *little* bit of a fan of princesses. 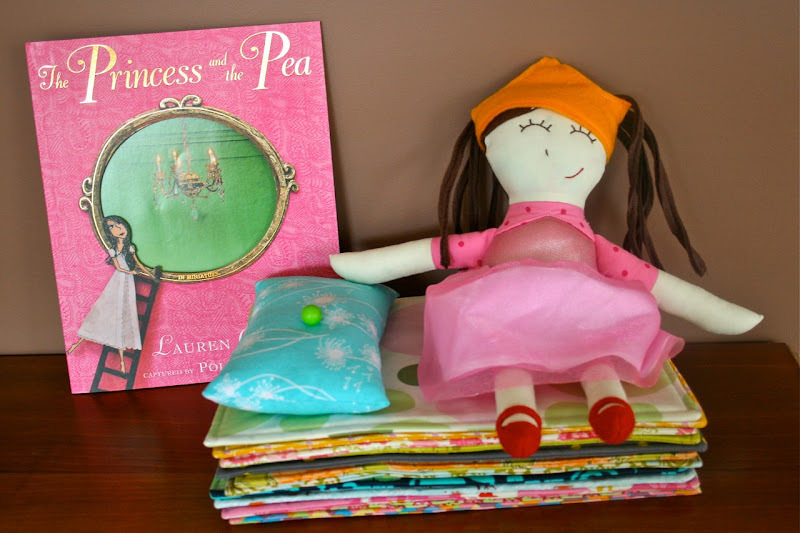 She is turning 4 in October and as soon as I saw this adorable Princess and the Pea doll toy and bag by Toni at Make It Perfect, I knew I needed to make one! I especially loved the use of the Heather Ross, Far Far Away double gauze fabric for the bag. Unfortunately I had used all my fabric up on her quilt...but after much persistence and searching on Google, I found more and am ready to get sewing! 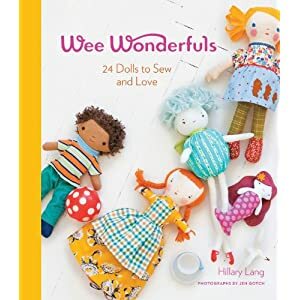 For the princess, I bought Hillary Lang's book Wee Wonderfuls. I was extra motivated after seeing these creations from the book by Amanda and Megan. You can find a free pattern for the mermaid on the Martha Stewart website.